Varchas develops professional and beautiful websites that reflect the brand of your business or organization. The wide range of services offered by us includes website design and development, customized web application, web hosting, web programming, website redesign etc. 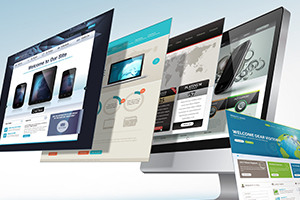 Varchas have been offering innovative website development service at reliable cost. Web development is the process of integrating a design, concept, or business initiative on the Internet. Varchas will be of great help for those, who venture into the world of web development for the first time. Our web business consultant will guide you to determine the best strategy and approach suitable for your company's online presence. Web development is the process of integrating a design, concept, or business initiative on the Internet. Varchas will be of great help for those, who venture into the world of web development for the first time.